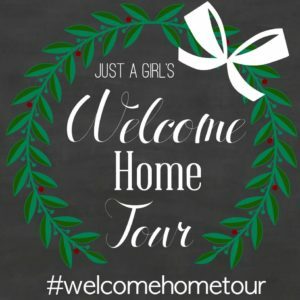 So excited to be joining my sweet friend Chris at Just a Girl Blog for the #welcomehometour! 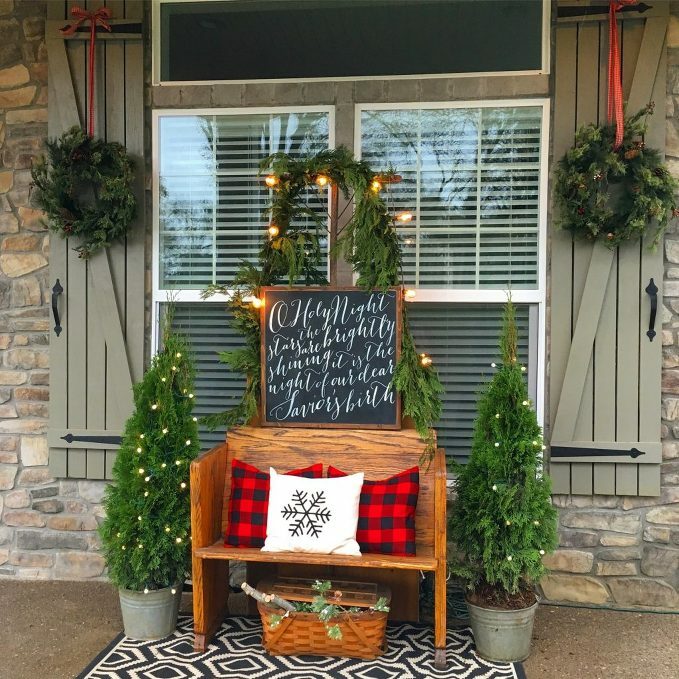 We are happy to have you here for a fun little tour of our Christmas porch and entryway. 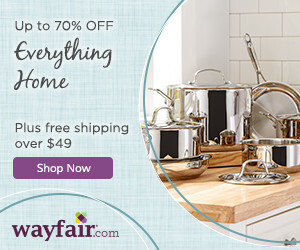 Hopefully you’ve already stopped by my sweet friend Courtney’s place at A Thoughtful Place…isn’t she just the best? Well let’s start with this gorgeous wreath from Lynch Creek Farms. 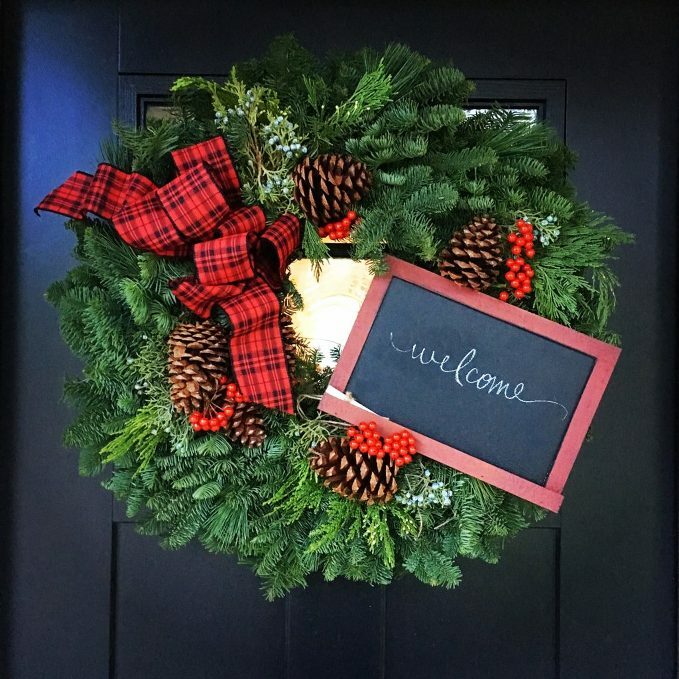 A fresh wreath is a great way to welcome your guests, and this huge, fragrant wreath was love at first sight! The ribbon caught my eye right away, but let’s be honest, the chalkboard was what REALLY drew me in! (Uhhh, have you MET me? I’m a little chalkboard-obsessed.) You can find this beauty here. Ok, and now for the rest of the porch. This year I was feeling like doing something a little more simple. Just one “exclamation point” on the porch. We normally have a pair of adirondack chairs out here, but a couple months ago I happened upon a darling little church pew at a vintage sale. As soon as I saw it, it screamed “PUT ME ON YOUR FRONT PORCH FOR CHRISTMAS!! !” Please tell me this happens to you too. 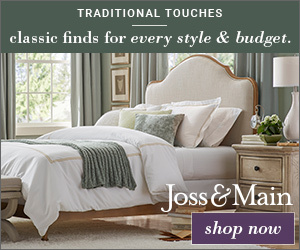 You know, the furniture and decor calling to you. Mmm Hmm. I thought so. So originally I had planned to paint the pew. But after giving it some thought, ultimately decided the wood grain was more “Christmasy,” plus if I had to wait for paint to dry, I’d lose my decorating mojo, so there ya go. 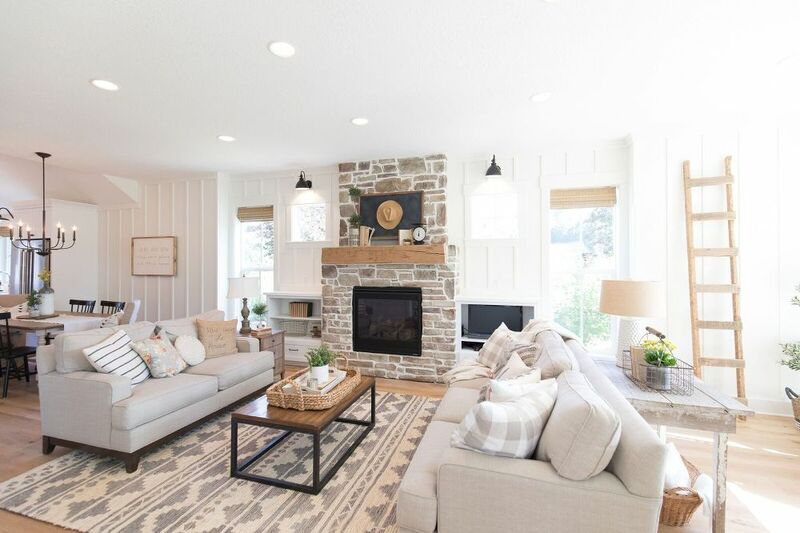 A couple buffalo check pillows (from @plumperfection on Instagram) and this darling snowflake pillow (from @farmhousebshop on Instagram) added the perfect amount of coziness to the pew. (Side note: about an hour after I finished the porch, I noticed it was really windy outside. I went out to make sure the pillows hadn’t blown away, and sure enough, the snowflake pillow was missing. My son and I grabbed a flashlight, bundled up, and went out on a hunt for the pillow in the dark. His 19-year-old eyes finally spotted it, quite a ways down the street in a field. Oh, I was so happy. We came right home and pinned the pillows down so it wouldn’t happen again. ;)) The striped rug was replaced with this fun patterned outdoor rug (find it here), and then the pew was flanked by a couple arborvitae bushes from Home Depot, plopped in some old farm buckets. But hmmmm. I needed something for height in the back. My hubby suggested using an old $5 bookcase we had in the garage to support this beautiful sign (from @vineandbranchestx on Instagram). It worked like a dream, but we still needed something tall so I could drape the cedar garland and lights. *lightbulb moment* Can you tell what I used? A vintage rake! This little gem has been sitting in the garage, waiting for just the right spot. We added a couple wreaths to the shutters, tucked a vintage picnic basket under the pew, and went inside to warm up by the fire. Speaking of which, let’s go inside! I’m not gonna lie, the entry way put up a bit of a fight this year…but after editing a few items out, it finally came together. That’s what decorating is all about, right? Adding and subtracting until you have just the right mix. A felt wreath, a cozy scarf, a tin sign hung on this old gate…yes. Simple, humble, nothing too fancy. Just the way I like it. Scratch that…just the way I LOVE it. Across the hall, a few little items were added to our old ladder in the entry. And of course the entry bench. All it took was a couple pillows, a vintage Pendleton blanket, and a little Christmas tree. Oh, it was so much fun to have you here today. You should stay for some hot chocolate, and we can talk about everything we DON’T have done for Christmas yet! 😉 Be sure to stop by Haneen’s house (from Haneen’s Haven) next! Brooklyn Limestone - Rustic fabulousness!